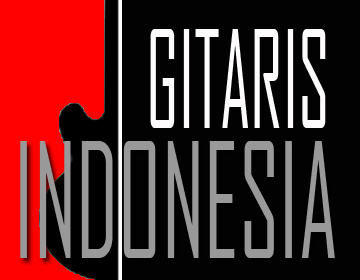 Www.gitarisindonesia.com - Arya Bayu Mantara was Born in Larantuka, August 21, 1984. 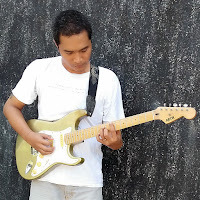 This young guitarist who is originated from Bali has been starting to focus on his guitar-playing ever since he was still in Junior High School -at the age of 14. was born in a family who posseses a hobby of playing and listening to music, Arya is already used to listen to music ever since he was little. His dad is a fan of classic rock and jazz and so is his mom. It is an automatical thing that Arya also listened to his parent’s favourite music at that time. Arya had also been able to play piano at the age of 6! When he was 14, his parents gave him a present of an acoustic guitar, and his interest in guitar immediately began. He was then starting to study the songs of some famous bands and he was also starting to pull gigs on some local events and at some cafes. After finishing his high school, Arya decided to deepen his guitar knowledge. 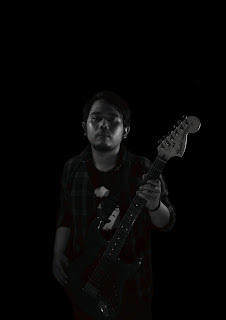 Invested with the knowledge he aqcuired from those guitarists, Arya started to develop his own individual guitar-playing and therefore in 2004 he resigned from his band to be having a solo career. For now, Arya has made 5 album : 1 album with His old band and 4 are solely produced (1 Jazzy and 3 Rock Instrumental).He claimed that his style of music is influenced by some rock guitarists such as: Jimi Hendrix, Ritchie Blackmore, Eric Clapton, Jeff Beck, Jimmy Page, Joe Satriani, Steve Vai, Paul Gilbert, Marty Friedman, Richie Kotzen,etc. You could listen to Arya’s solo albums for proof! Lately, Arya’s still active with playing in variant music events, and in his spare time of his hectic life, he’d play and create. Arya would also save time to teach at his private guitar studio that is located in Bali. Washburn x40, Ibanez PGM Japan, Ibanez PGM Korea, MTR Guitar TL Series, MTR Guitar ST Series, Boss GT 8.